Later this year, South Korean mobile phone maker Samsung Electronics is expected to bring to the market a new handset in the popular Galaxy Note series of smartphones, and some more info on what this device might have to offer has emerged online. The new device, supposedly set to arrive on shelves under the name of Samsung Galaxy Note 4, should launch with a flexible screen, as well as with a premium metal body, the latest info on the matter suggests. The handset has been rumored before with top-of-the-line capabilities inside, including a flexible screen, but a new report coming from ET News ( http://www.etnews.com/20140718000281 ) appears to shed some more light on the matter. According to them, the handset will also sport the aforementioned premium metal body, while featuring a 16-megapixel camera on the back, most probably capable of recording videos in 4K resolution. Previously, Samsung has been rumored to be working on devices with metal bodies, but only a premium flavor of the Galaxy S5, supposedly set to arrive on shelves as Galaxy F or Galaxy Alpha, was said to feature it. However, should the new report pan out, it would mean that the mobile phone maker might be finally ready to shed the plastic design of its high-end smartphones in favor of metal cases, which would provide them with increased durability and more premium looks. Apparently, the vendor will still be using plastic for some smartphone models, including for a Galaxy Note 4 variant that might be released as a cheaper version of the high-end phablet. The report, however, starts to resemble a lot what was rumored for Galaxy S5 earlier this year, when it was suggested to arrive in two different versions too, one with a metal body and the other with a plastic one. Galaxy Note 4 might also arrive on the market with a 5.7-inch screen capable of delivering a Quad HD resolution, while also featuring Optical Image Stabilization capabilities for the aforementioned camera. Overall, the upcoming handset should prove much better than both last year’s Galaxy Note 3 and this year’s Galaxy S5 flagship, though it remains to be seen how much of the above rumored specs will actually pan out in the end. 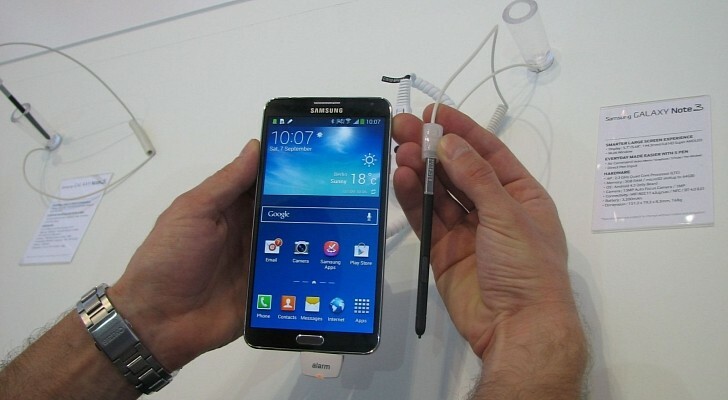 Chances are that we’ll see Galaxy Note 4 made official in early September during the IFA 2014 show in Berlin (one year after its predecessor was revealed), so keep an eye on this space for additional info on the matter.